Welcome to the 2nd edition of my new blog series Style Stories. This week I am speaking with Adam Walker. Adam is a menswear blogger based in London. He is the author of a menswear blog called The Male Stylist. 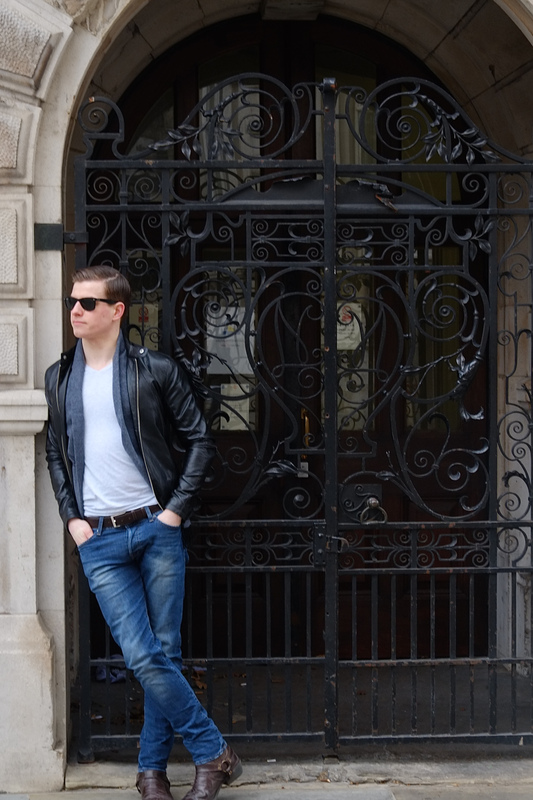 Adam was one of the first menswear bloggers I came across when I started blogging myself last September. So I am delighted he gave the time to answer my questions for this series. Here is the man himself to tell his style story. When did you know you were interested in fashion? I think I’ve always had interest in fashion and style, though I was only really able to explore it when i came to London 4 years ago. The way people express themselves through personal style is pretty unique to London. Tom Ford. He’s just effortlessly stylish and uses simplicity to make a bold statement. Also, he’s 53 and looks far better than most people half his age! Aside from celebrities, fashionistas, etc who is your biggest fashion influence? i.e dad, mum, friend etc. My brothers (Matt, Simon and Neil) tend to give a lot of feedback on styles i post and are keen to get involved when they can. Also my cousin Jason loves his suit shopping on Jermyn Street with us so he’s been something of an influence. What do your family and friends think about your style? What is your favourite item in your wardrobe and why? I have a leather jacket from Zara that is one of the best fitting jackets I’ve ever owned. Works well with a variety of styles and seasons. Definitely a firm favourite. What is your favourite outfit in your wardrobe? I have a grey, square check suit with a double-breasted navy waistcoat that i wore for a Savile Row shoot not too long ago. 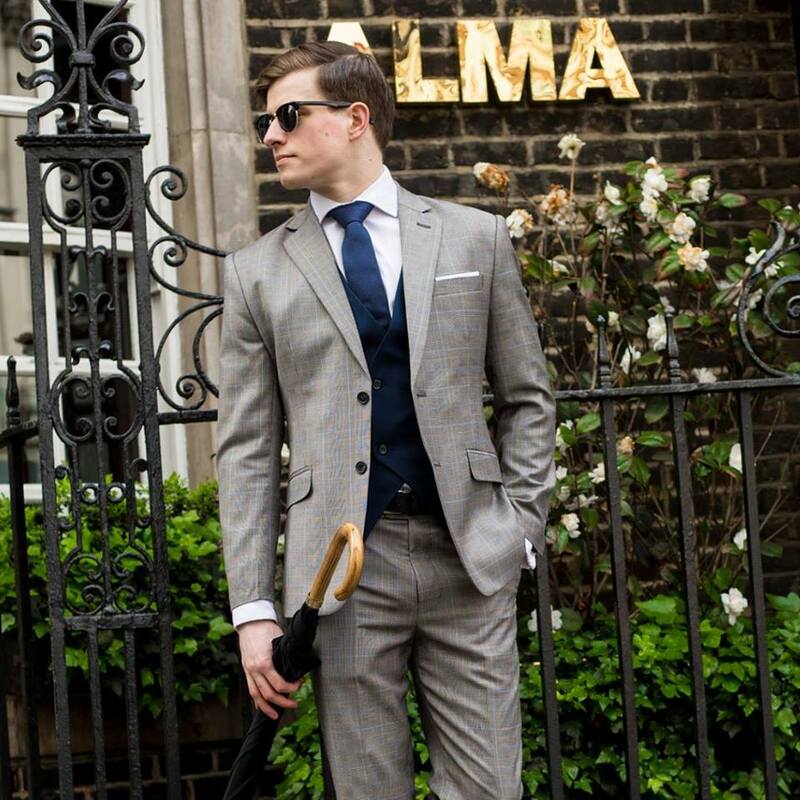 It fits like a dream and is a contemporary take on the well-established grey suit. What is the biggest fashion faux pas you have made? Have you ever kept an item of clothing due to sentimental value? if so what is it and why did you keep it? I have a red scarf that was given to me by my grandmother as a gift a few years ago. She passed away recently and since then it’s become a very important item to me. It’s very simple and modest but completely priceless in my eyes. Has social media affected your style in any way since the creation of instagram, pinterest etc? Definitely. There are so many talented bloggers and stylists out there who act as great inspiration. In a single hour on Instagram you can get fantastic ideas for styles and outfits for the next month. Tie. Subtle simplicity. Save the bow tie for a dinner jacket. Grey. Just because it’s such a classic statement piece and works with almost anything. Tough one but I’d have to go with jeans. Men don’t tend to wear jeans that fit them but when you get them right they can make a whole outfit. Final Question If you could be locked into a High St store for a late night after hours shopping spree which one would it be and why? I think it would have to be Zara. They’re currently going through a phase where both their styles and quality are great, plus their fit is pretty much perfect for my body shape. It’s somewhere I always come back to when I’m looking for base elements of an outfit. ← Let them be Green with envy!